The Santorini – The Wanderers Travel Co. The breathtaking beauty of Santorini and its deep indigo sea, the whitewashed houses clinging to multicolored cliffs, the rich culture and history…and the delicious food! Whether climbing the stairs to the gorgeous hilltop village of Oia or taking a dip in the Aegean sea, this dreamy Greek Island is one of substance and beauty. Just like our Santorini handbag, made with the softest full grain leather and a particular attention to detail and functionality. 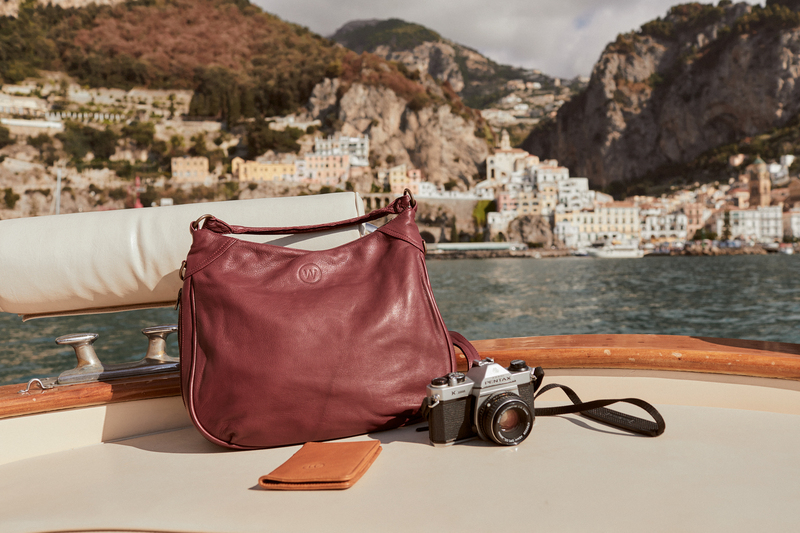 With an adjustable cross body strap and a shorter shoulder strap, a working zipper detail on the bottom to adjust the depth of the bag, three internal pockets and plenty of room inside, our Santorini handbag is one of substance and beauty.